Aim Navigators are sophisticated business simulation games for mobile devices. Your organisation can experience the consequences of business decisions in a virtual environment using the power of game-based learning – and it will change everything. What can Aim Navigator do for your business? Experience the immediate cause and effect of business decisions. Help people in your organisation to work towards specific business goals by choosing actions and experiencing the consequences. Your people can make mistakes in a risk-free setting, ensuring that they actively learn while practicing behaviors and thought processes that can easily transfer from the simulated business environment to real world business. Management and staff learn how to think and perform in the face of real-world challenges. By using technology, these effective, interactive business experiences motivate and actively engage them in the learning process. 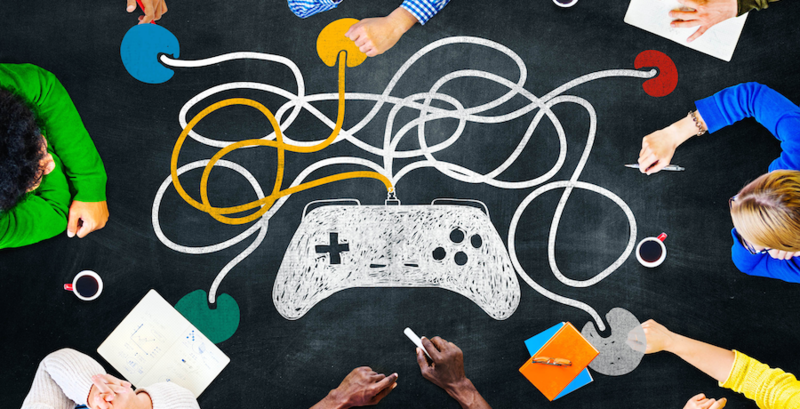 In game-based workshops that closely resemble real life, players learn not only the facts, but also key underlying reasoning, allowing them to quickly understand the connection between the learning experience and real-life business or leadership. Navigator uses the knowledge harvested by Aim, a company that has over 20 years’ experience in developing leadership and learning in organisations. Aim is a leading game-based business offering; a combination of generic and customised business simulation games that are aimed at promoting and enabling learning and leadership training in medium to large companies and organisations in both the private and public sector in South Africa and sub-Saharan Africa. Find out more about us and meet the team by clicking the button on the right. Aim is a leading game-based business offering; a combination of generic and customised business simulation games that are aimed at promoting and enabling learning and leadership training in medium to large companies and organisations in both the private and public sector in South Africa and sub-Saharan Africa. Find out more about us and meet the team by clicking the button below.